Space can help improve student attention, engagement and learning outcomes. Are colleges and universities adequately preparing students to be successful in the creative economy? This issue heated up again recently when a Gallup poll showed that only a third of executives believe colleges do a good job at graduating students with the skills businesses need. Another third say colleges don’t do a good job at it, and one-third are neutral. Educators counter with historical data that show the long-term financial advantages for college versus high school graduates. They also point out that colleges were never intended to be vocational schools and that companies need to take more responsibility for specific job training. Part of the disconnect stems from the unique and daunting task that is education. Students are not uniform raw materials; they are human beings with diverse backgrounds, skills, hopes and dreams. Preparing students for the moving target of a creative economy, and jobs that often don’t even exist yet, is no small feat. Half of students in grades 5 through 12 are involved in and enthusiastic about school. The work is made harder because students don’t seem to be engaged in the effort. According to Gallup research, just half of students in grades 5 through 12 are involved in and enthusiastic about school. Even sadder, student engagement scores decline steadily from the 5th grade well into high school, staying at their low point through grades 11 and 12. It’s easy for Andrew Kim to get excited about learning spaces. Not just because he spends his professional life studying educational environments at schools and universities, or because he regularly participates in presentations and workshops around the country on educational issues. What’s got him most excited these days are recent discoveries about connections between the brain and the body that have implications for learning, and the institutions, educators and students (including his own three children) who can immediately benefit. 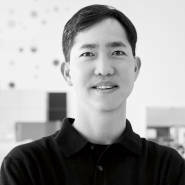 Visit college classrooms and observe student behaviors, as Kim and his Steelcase WorkSpace Futures research colleagues do, and you’ll see that students everywhere in the world are often more scattered than attentive. In class they converse with peers, check social media, send and read texts and sometimes pay more attention to digital devices than the coursework at hand. “There are more things vying for student attention today and that makes it harder to get the attention that leads to engagement,” says Kim. Building student attention begins with understanding the science behind it and applying those insights to the classroom. Average student attention spans are about 10 to 15 minutes long, right? That may be a frequently quoted statistic, but there’s no empirical evidence to support it. Karen Wilson and James H. Korn researched the origins of the statistic in 2008, and say the 10–15 minute estimate is based primarily on personal observation and secondary sources. Other research showed a pattern during class: a decline in student attention just 30 seconds into a lecture, reflecting a settling-in period. Declines also occurred at 4.5–5.5 minutes, 7–9 minutes, and 9–10 minutes into the lecture. Attention waxed and waned, with more frequent lapses as the lecture progressed. Toward the end, attention lapsed about every two minutes. There’s also recent research which shows that humans are capable of “sustained attention” for about 45 minutes to an hour, which may explain why various events run that length of time: TV and radio programs, class periods, church services, music CDs, even lunch breaks. However, despite what humans may be capable of, the speed at which a tedious lecture can lull a person to sleep demonstrates that sustained attention is a difficult thing to achieve. The WorkSpace Futures observations are bolstered by research by Diane M. Bunce, et. al. in 2010 (“How Long Can Students Pay Attention in Class?”), who compared a passive lecture approach and active learning methods. Researchers noted fewer attention lapses during times of active learning. They also found fewer lapses in attention during a lecture that immediately followed a demonstration or after a question was asked, compared to lectures that preceded active learning methods. This suggests active learning may have dual benefits: engaging student attention and refreshing attention immediately afterward. Our brains evolved to notice change as a way of staying vigilant for possible threats to individual survival. We naturally seek out what’s new and different, and this curiosity is rewarded with dopamine and opioids in the brain that make us feel better. Thus, varying materials and breaks facilitate attention. A study by Kennesaw State University found that students paid more attention when the professor reviewed quiz answers, presented new information or shared videos, i.e., changed things up. Research shows that aerobic exercise can increase the size of critical brain structures and improve cognition. Exercise pumps more oxygen through the brain, which stimulates capillary growth and frontal lobe plasticity. Exercise also stimulates the birth of new neurons in the hippocampus. Physical movement increases alertness and helps encode and trigger memory. Yet schools and teachers traditionally train students to be sedentary, and equate sitting still with greater attention and focus. On the contrary, movement allows students to refocus and strengthen their ability to pay attention, as Lengel and Kuczala report in “The Kinesthetic Classroom: Teaching and Learning Through Movement.” Simply allowing students to get out of their seats to move while learning provides the brain with much-needed novelty and change. Schools are starting to incorporate more physical activity in the classroom, such as Delaney Connective, a high school in Sydney, Australia, where students do “brain pushups” each morning: five-minute, Tai Chi-like exercises that get the blood flowing and help students focus. The study by Kennesaw State University mentioned earlier also revealed that where students sit in the classroom impacts student focus. According to the study, students in the front and middle of the classroom stayed on task, while those in the back were more distracted. An active learning classroom where students easily moved and rearranged their seating enabled them to be more focused and stay attentive. Classrooms configured with multiple “stages” (No fixed position where the instructor must stand), content displays and mobile seating offer even more flexibility. Here an instructor or student can address the class, lead a discussion and share content from anywhere in the classroom. There’s no front or back of the classroom, and since the seating allows students to change posture and position easily, every seat is the best seat in the room. 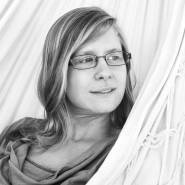 Based in Paris, Beatriz specializes in the psychology of human emotions and behaviors, and how they relate to work and work environments. Having recently participated in extensive research on wellbeing at work, she says neuroscience provides compelling evidence that achieving both productivity and wellbeing depend on understanding and leveraging how the brain works. “Individual study requires deep focus. The harder the task, the more easily we’re distracted, so the ability to screen out distractions is critical,” says Kim. Students need spaces where they can avoid unwanted distractions and stimuli that interrupt focus. However there are times when low-level environmental distractions are welcome. The flip side of focus thinking is diffuse thinking, which complements learning and creativity. In diffuse thinking the mind meanders. “Distractions of a certain intensity at this point can actually help the brain wander across different topics. 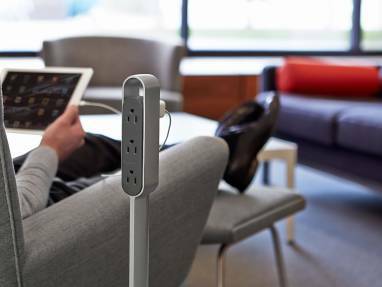 This allows the brain to build new connections between disparate pieces of information, and new insights and understandings emerge,” says Beatriz Arantes, a Steelcase senior design researcher and psychologist based in Paris, France. Students need both the ability to screen out distractions or welcome them, depending whether they’re writing a paper or seeking inspiration through sensory stimulation. The need for periods of both quiet focus and healthy distraction finds its parallel in learning. The brain is often viewed as a thinking machine, moving in a linear fashion. But the brain and body are not machines; they are organisms with a natural rhythm of activity and rest cycles. Research has shown there is a “rest-activity cycle” while sleeping, during which we move in and out of five stages of sleep. The body operates by the same rhythm during the day, moving from higher to lower levels of alertness. Our brain can focus on a task for only so long, after which it needs a break for renewal to achieve high performance on the next task. Ignore this rhythm and we get drowsy or hungry, lose focus, start to fidget. Stress hormones kick in, the prefrontal cortex begins to shut down and we are less able to think clearly or imaginatively. Active learning pedagogies generate more student attention and engagement than traditional passive approaches. An active learning ecosystem equally supports and incorporates pedagogy, technology and space. More choice and control fosters greater engagement. Flexible learning environments allow instructors and students to quickly adjust their learning spaces to the work at hand. Movement is empowerment. 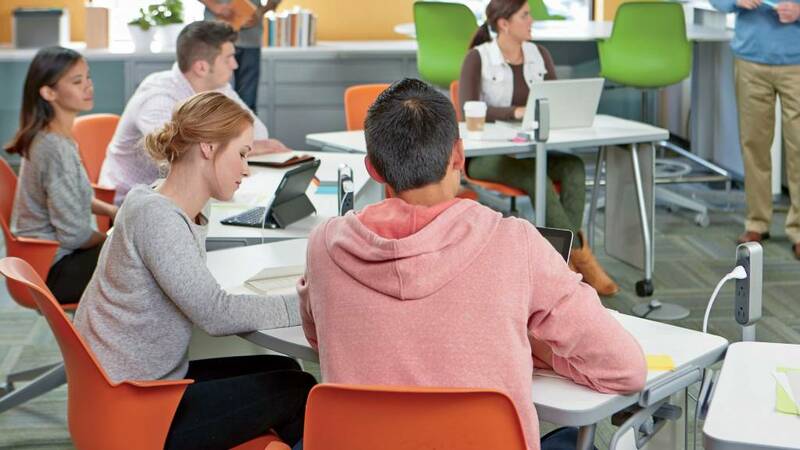 Avoid fixed and unmovable student learning spaces. Provide spaces that support both focus and diffuse thinking. Give students the ability to adjust their learning environment to the needs of the moment. Assure optimal connection between students and class content. Design classrooms with multiple stages, content displays and mobile seating that allows students to focus their attention wherever needed. Support the rhythm of learning. Formal learning is just one part of the total experience; students’ learning needs and behaviors fluctuate significantly beyond the classroom. A range of spaces that are flexible and offer choices assures they can select the best places to match varying needs for individual focus, informal collaboration and social learning. In this multi-modal classroom, students can spend most of their class time engaged in “homework”—active and personalized learning that complements the videotaped lectures they’ve watched outside of class. Flexible furnishings support movement and a variety of classroom activities. Group sizes can morph from small to all-inclusive, depending on the type of learning taking place, and the instructor can move about freely within the space. 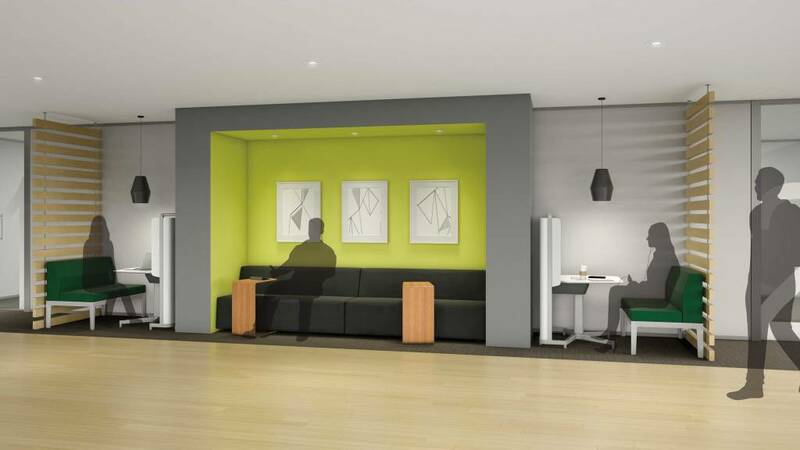 A corner setting with lounge seating provides an alternative space for working alone or with others, while also supporting the movement and posture changes that positively impact attention. Views to nature trigger diffuse thinking, allowing the mind to wander and build new neural connections. A wall-facing worksurface with high stools is a space for individual assignments that demand focused attention. Content can be displayed throughout the room on portable whiteboards, adding to the flexibility of the space and increasing student access to content. 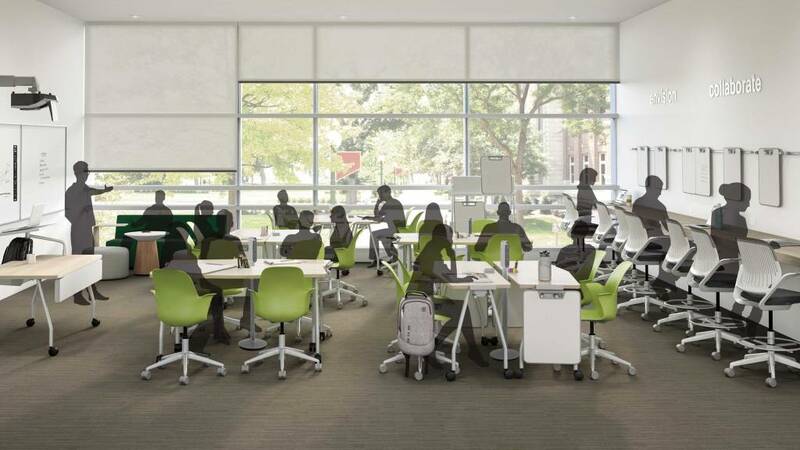 The LearnLab™ integrates furniture, technology and worktools to support a variety of teaching and learning methods, with a unique X configuration and placement of screens triangulates sightlines, giving equal access to content. With no front or back of the room, all students can stay engaged. 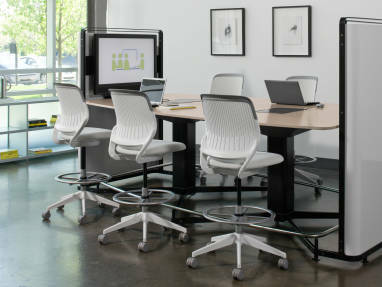 The unique furniture configuration supports varied sightlines and activities throughout the class period, keeping content relevant and maintaining attention. Fixed and portable whiteboards and display screens provide information persistence and allow students to generate, capture and share their work. Placement at the perimeter encourages students to move around the room, activating attention. Between classes, these are touchdown spots for finishing a reading assignment, reviewing content before an exam or meeting one-on-one with an instructor or peer. 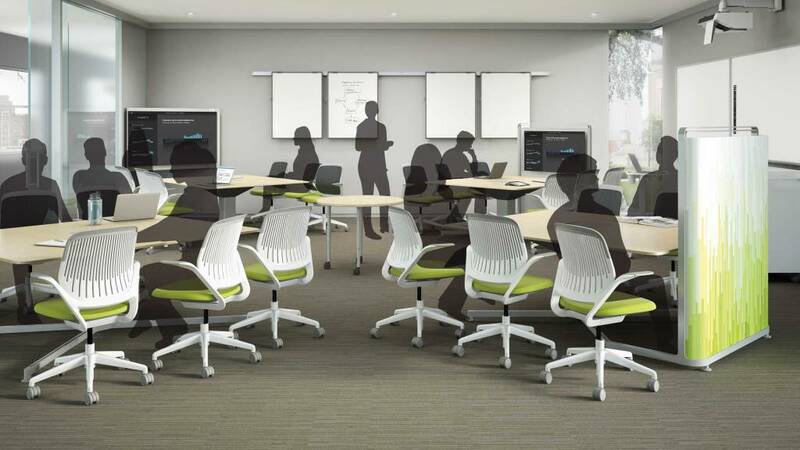 During class time, they can be a breakout area for group work or discussions. The media:scape® kiosk provides a way for students and instructors to continue lessons or collaborate outside of class via videoconferencing. Proper lighting reduces brain strain, helping students maintain attention and focus on their work. This nook is a comfortable, sheltering environment for activities that require controlled focus and minimal distractions, such as reading, homework or discussions. This transformed library is a macro-environment that supports collaborative, project-based work and social needs, as well as individual focused work. 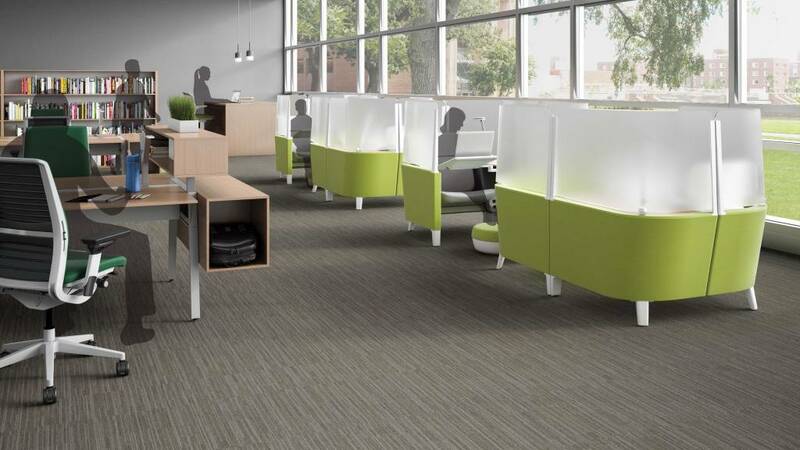 The adjacency of open spaces to more shielded settings allows students to manage distractions as needed. Benching workstations allow students to work alone while staying near others, appealing to their sociability and allowing them to easily take breaks as needed. Temporary storage for personal items means students can focus on their work without worrying about their things getting in the way. Shielded microenvironments for individual work block outside distractions while also providing the body and technology support students’ need for work that requires sustained focus. Outside views provide for moments of mental rejuvenation and inspiration when students need to give their minds a rest. Besides being multitaskers—you can write or project on them, attach material with magnets—they also come in any size, don’t need power and they’re inexpensive. But what really makes whiteboards great learning tools is how they engage both the body and brain in the learning process. Whiteboard work is both kinesthetic and visual. The act of writing and drawing engages the user physically and mentally, and that boosts learning. For example, research at Indiana University showed that neural activity in children was far more enhanced in kids who practiced writing by hand than in those who simply looked at letters. University of Washington research demonstrated a special relationship between the hand and the brain when a person composes thoughts. Finger movements activate regions of the brain involved in thinking, language and working memory. There are group benefits as well. Writing information and ideas on a whiteboard frees users from having to remember important information. Displaying information helps create shared group knowledge. Portable whiteboards make it easy for two or three users to jot down thoughts, draw correlations and build on each other’s ideas. “Educators know the research, and they see the benefits of whiteboards every day. It’s not surprising we’ve seen growth with use of our products,” says Shawn Collins, director of new business development for PolyVision, the market leader in CeramicSteel whiteboard material. Collins says schools are continually coming up with new ways to use whiteboards. Installing whiteboards in the classroom at different heights to accommodate different users is increasingly popular. 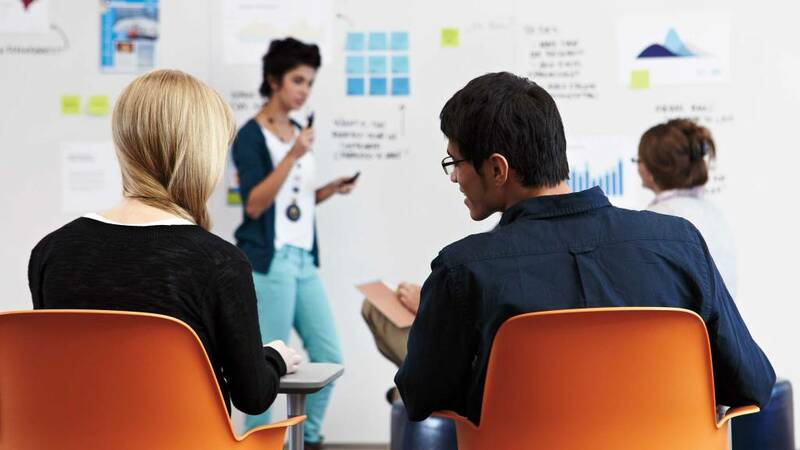 A university recently ordered five-foot high whiteboards so they can be used while sitting or standing. Whiteboards that slide horizontally are used to reveal content in sequence or cover up a flat screen when it’s not in use. Personal-sized whiteboards work as privacy screens during test taking, presentation aids and as individual note taking tools. With nothing to power up and no apps to open, a whiteboard is often the easiest, quickest way to seize a teachable moment, capture someone’s attention and engage students of any age.